Members of Jewish communities around the world are horrified by the violence that sweep the streets of Palestine and Israel. And so they call on Israel to end its occupation of Palestine. Justice and equality will bring true peace to the people of Palestine and Israel, they say. We call on our Jewish communities, and our broader communities, to publicly insist on an end to the violence, occupation, siege and military response and instead demand equality and freedom for the Palestinian people and justice for all. I signed their petition, and so can you by clicking here. Why is it so important to endorse this kind of statement in public? In doing so, you side not with a nationality or with a religion at the cost of others, but with the values of justice, equality and a common humanity. It gives us the chance to transcend boundaries and to strengthen the good. Your signature inspires others who still hesitate. It is really a small step for each individual, but the collective value is enormous. 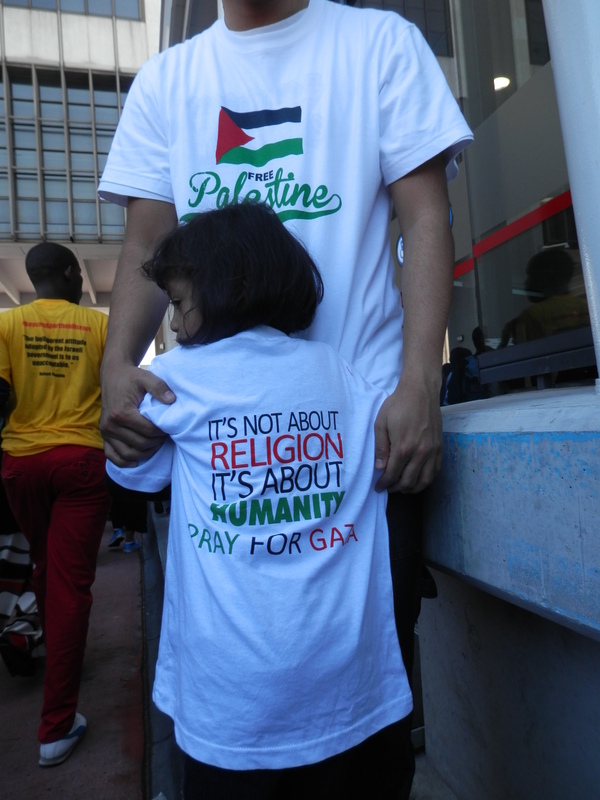 I took these photos on 9 August 2014 when Muslims, Christians, Jews and many others marched through the streets of Cape Town to protest against the War on Gaza. As members of Jewish communities around the world, we are horrified by the violence that is sweeping the streets of Palestine/Israel, costing the lives of over 30 people, both Palestinians and Israelis in the past two weeks alone. A two year old girl in Gaza was the youngest of four Palestinian children who were killed in the past two weeks. A 13 year-old Israeli boy is in critical condition after being stabbed nearly a dozen times. Over a thousand people were injured in the same period. Fear has completely taken over the streets of Jerusalem, the center of this violence. Israelis shooting Palestinian protesters in and around East Jerusalem. Palestinians stabbing and shooting Israeli civilians and policemen in the middle of the streets. Israeli forces killing Palestinian suspects when they are clearly not a threat and without trial. Palestinians throwing stones at passing cars. Israeli mobs beating up Palestinians or calling on police to shoot them. Humiliating strip searches of Palestinians in the streets – all of these have become a daily occurrence in the city in which we are raised to pray for peace, as well as other places in Israel, Gaza and the West Bank. While violence is visible on the streets, it is also occupying people’s minds and hearts. Fear is bringing out the worst of people, and the demand for more blood to be shed, as if this will repair the damage done. Fear and racist rhetoric are escalating the situation. The Israeli government is once again responding in a militarised way: there have been hundreds of arrests; Palestinian access to the Al-Aqsa mosque compound has been limited; parts of the Muslim quarter of the Old City of Jerusalem have been closed to Palestinians; open-fire regulations have been changed to allow the use of sniper fire against children; a minimum sentence for stone throwing has been introduced, including for over 150 children arrested in East Jerusalem alone in the past few weeks; and now there are talks of enforcing a curfew, or even a closure, of East Jerusalem. All these constitute collective punishment on the entire population of East Jerusalem with over 300,000 people. In the past, these measures have proven themselves ineffective at ending violence. Decades of dispossession, occupation and discrimination are the main reasons for Palestinian resistance. Further Israeli military repression and ongoing occupation and siege will never end the Palestinian desire for freedom nor will it address the root causes of violence. Indeed, the current actions by the Israeli government and army are likely to create further violence, destruction, and the entrenchment of division. Only justice and equality for all will bring peace and quiet to the residents of Israel and Palestine. As a group of Jews from around the world we believe that immediate change needs to come from the Israeli government and Israeli people. 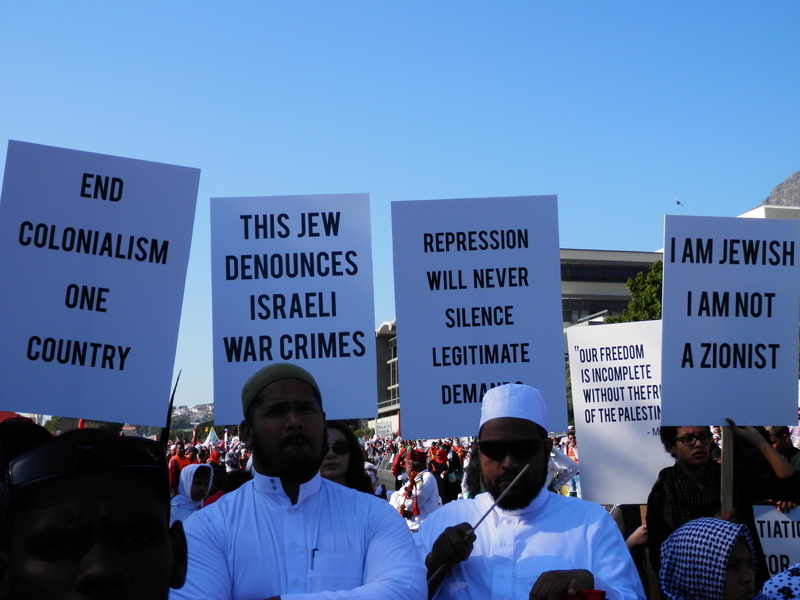 It is incumbent on all Jews around the world to pressure the Israeli government – and those who follow and support its words and deeds – to change its approach. The military crackdown must cease immediately, Palestinians must be allowed complete freedom of movement. 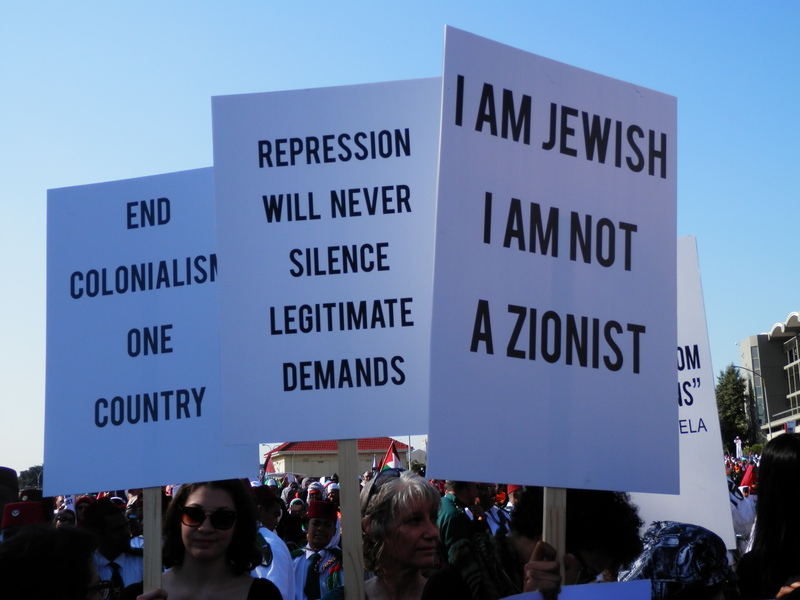 It is also a responsibility of Jewish people worldwide to obligate the countries in which we live to immediately cease the economic and military support of the ongoing Israeli occupation in Palestine and siege of Gaza. Sign the petition to send a strong message to Israel to end the occupation of Palestine.